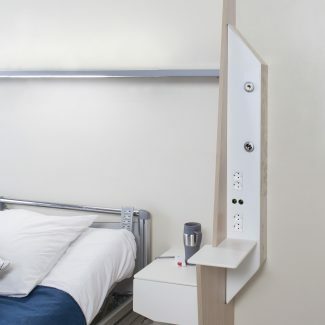 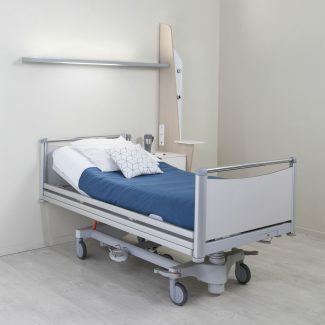 The COCOON bed head unit is ideal for all type of health institution. 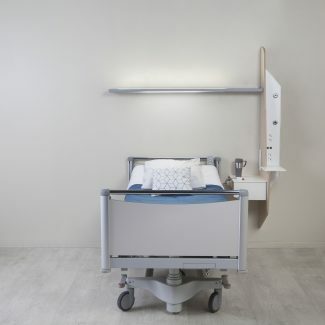 The quality of the light promotes the comfort and well-being of patients and healthcare professionals. 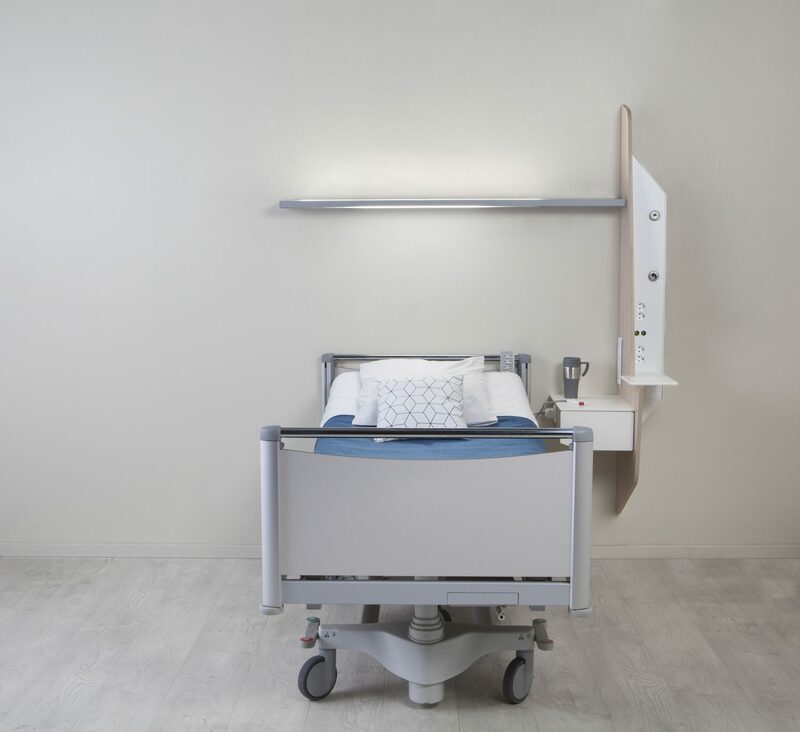 The configuration of the Cocoon set apart the patient space from the medical atmosphere. 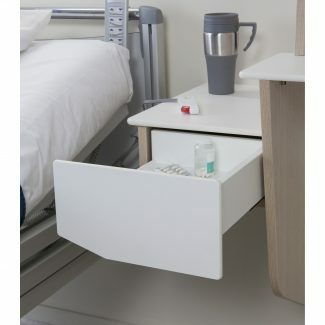 The bedside table integrated to the bed head unit is suspended for easy floor cleaning. One ergonomic drawer is included for easy access when patient is lying down. 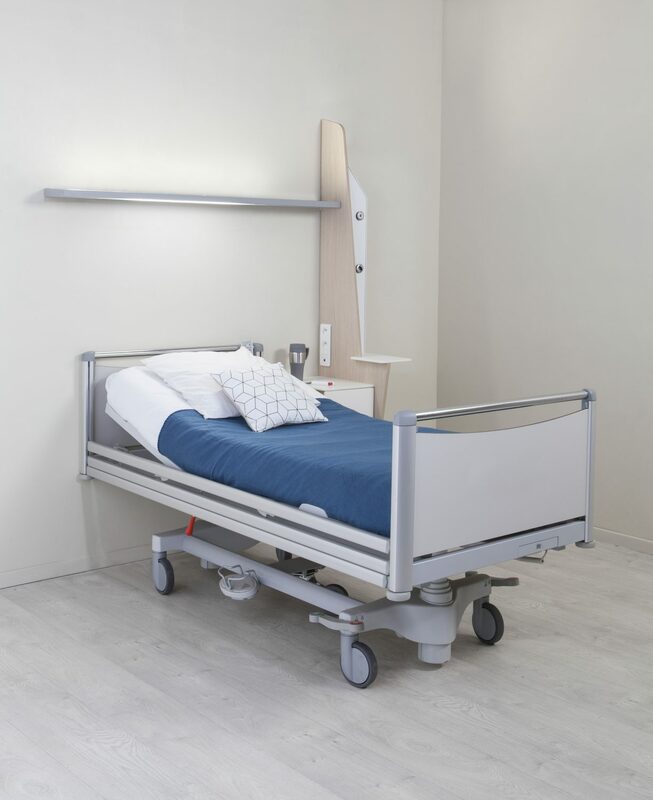 Available in LED version, LYSA wall lighting unit has an efficient and comfortable optical system for patients and hospital staff. 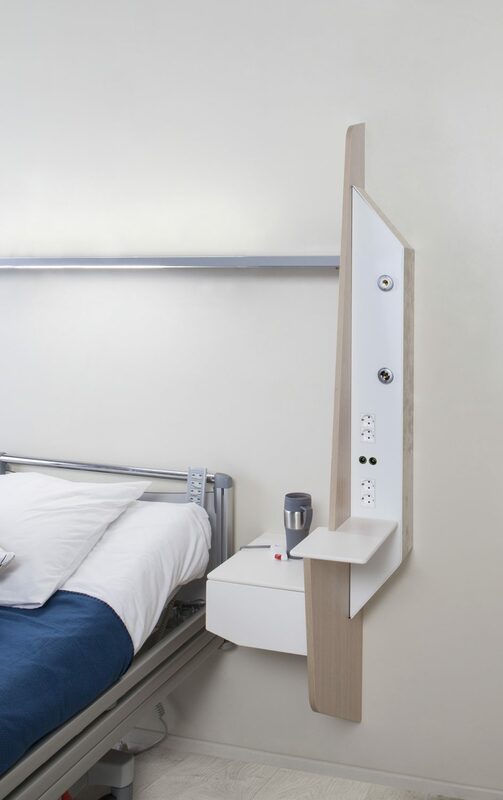 Integration, as option, of dynamic lighting simulating a 24 hours light cycle, will be helpful for the patient well-being.